“It feels like I’m talking to a wall.” This is the utterance you might hear from a person whose counterpart in a conversation is not particularly engaged. If you’ve been there, then you know it’s not a great feeling. But one of the biggest issues in B2B content marketing is actually the reverse: people tend to feel like the brands marketing to them are the ones talking to walls – as in, speaking to them as if they were an intangible corporate entity rather than a human being. For this reason, “business to business” can be a troubling misnomer. In this discipline, we’re not really marketing to businesses – buildings with walls and stairs and desks and chairs – but the people who inhabit those buildings. And in order to be truly effective, we need to break through this wall and achieve meaningful human connections. That means striking notes of authenticity, emotion, and distinct personal relevance. The good news? It most certainly can be done with fun, flair, and finesse. And plenty of brands are doing it well. Below, we highlight seven B2B brands that we feel are setting a great example with their approaches to customer interactions and conversations. A provider of flexible office space, WeWork has grown rapidly since being founded in 2010. Earlier this year, the company launched an in-house creative agency, which put rolled out its first campaign in May. The series of digital spots featured workers in cramped, undesirable offices juxtaposed against open, comfortable workspaces. 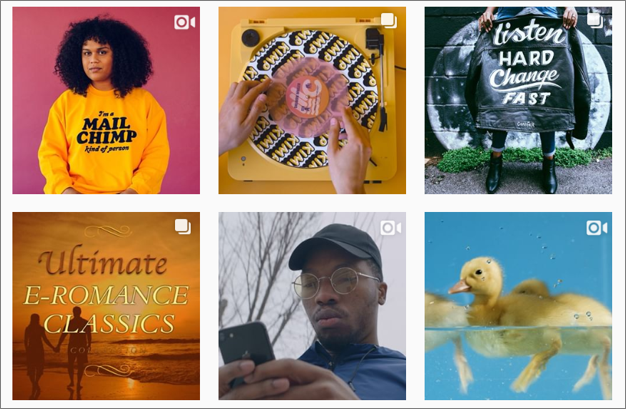 WeWork’s VP of creative strategy explained the thought process behind the campaign strategy to AdAge: “We wanted to make something that was relatable,” said Michael Fitzsimmons. “The scenarios in the videos … represent real challenges that a lot of businesses deal with on a daily basis.” More importantly, the scenarios represent challenges that the human beings at those businesses deal with. Offering a specialized platform for planning and executing content marketing initiatives, DivvyHQ markets to a specific type of professional: content marketing managers and others in charge of running content teams and strategies. As such, you’ll find plenty of posts on their blog that speak directly to this cohort (e.g., New Marketing Technology Trends: 5 Takeaways for Content Managers), even if that means potentially turning away folks who fall outside of it. As co-founder Brody Dorland explained in a recent piece on content personalization: “While it’s obviously valuable to obtain and keep the attention of people who are in your target audience, it can be almost equally valuable to avert those who are not. In this regard, many content marketers could stand to be a bit more forthright and frontal.” Additionally, DivvyHQ will often add recognizable themes and references to business-oriented content, making it more sticky with the humans reading it. For example, last year they released a content strategy guide built around Back to the Future. More recently they had a blog post on enterprise content collaboration — an innately humdrum topic — and spiced it up with a Star Trek spin. Here’s another company that seeks out personally relevant angles for otherwise straightforward subject matter. Antea Group is a global EHS and sustainability consulting firm, and often adds some pop culture flavor to blog posts in order to catch readers. For instance, an EHS overview has more pull when it’s full of inside jokes and memes from the comedy flick Office Space. And a writeup on safety compliance is much more fun when framed as a way to escape the nefarious Demogorgon from the Netflix show Stranger Things. 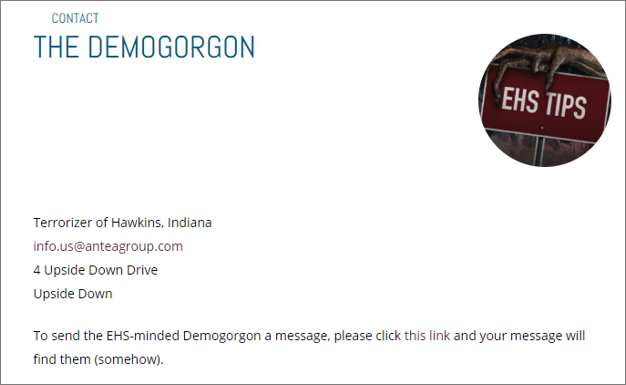 The latter post even included a customized contact form for the fictional monster. The global technology conglomerate has been around for more than 30 years and is still going strong, largely because of its foresight and propensity for staying ahead of the curve. Our topic at hand is the perfect example; Cisco’s VP of EMEA Marketing was espousing the importance of “human to human marketing” years ago. “Technology has been the enabler and supported how marketing has evolved and is now accomplished,” wrote Jeremy Bevan. “But has the outcome of marketing really changed? If we take away technology and go back to the fundamental basics – what are we as marketers really here to do? It is quite simply to be ‘human.’ ” Cisco has long prioritized corporate social responsibility initiatives and frequently highlights a deeper purpose through emotionally driven campaigns. Here’s a great example: “If you can imagine it, we’ll build a bridge to get you there.” Powerful stuff. 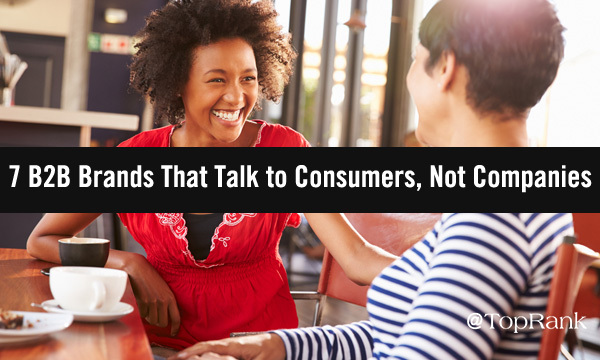 The post Flipping the B2B Marketing Script: 7 Brands That Talk to Consumers, Not Companies appeared first on Online Marketing Blog – TopRank®.